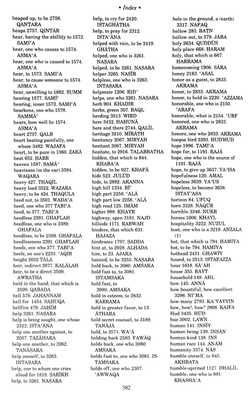 Part 1: The Contents lists the 3800+ numbered root words of the Quran, numbered according to the Arabic alphabet and their basic subroot or derivative form followed by the page number in the Concordance (Part 2: The Text) where the word can be found. 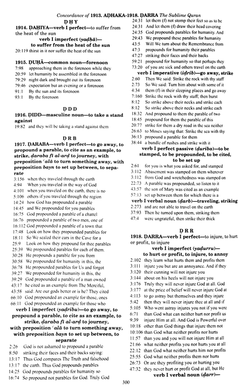 Part 2: Text In Part 2, a part of each verse in the Quran under the relevant root letters and derivative can be found. 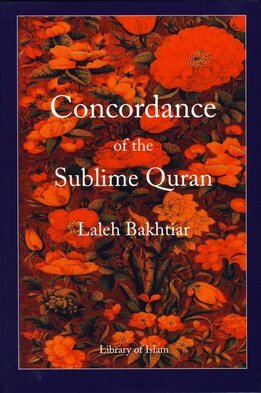 There the reader can not only find a specific verse they are looking for as well as the reliability of the translation using the same English equivalent for an Arabic word where the Arabic context allows. 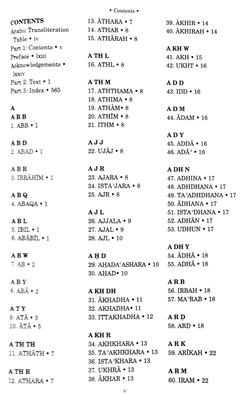 Part 3: The Index of the Concordance lists each of the 5000+ English words that appear in the translation followed by the number, Arabic root word and page number where it is to be found in Part 2: The Text of the Concordance.